*NEW* ALL ORDERS INCLUDE FREE SHIPPING TO LOWER 48 STATES!!!! AK, HI and INTL: our shipping rates are calculated at checkout based on order size, weight, and delivery address. YOUR DRAWERS CAN BE BIG AND THAT MEANS OUR BOXES ARE BIG! BUT WE PASS ON OUR SHIPPING DISCOUNTS TO OUR CUSTOMERS! Shipping big boxes isn't cheap. 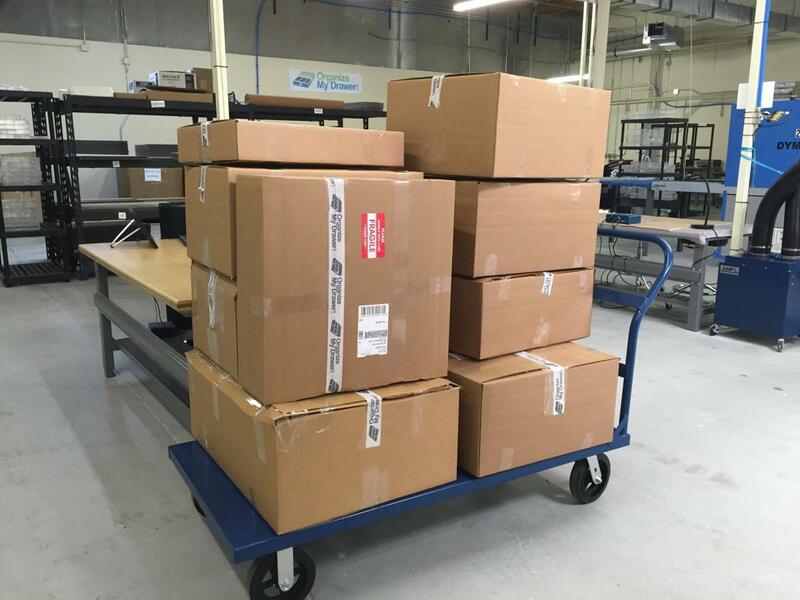 The new dimensional weight calculation (LxWxD)/139 means our boxes "weigh" more than before, and cost more to ship. A recent example demonstrating our discounts for an order requiring a single 10lb. 34"x24"x8" box cost a retail customer in Orlando, FL paying UPS directly $70.25, but with our discount rates we only charged $28.80 for that same order, saving >55%! SHIPPING PROGRAM & RATES - Updated 4 Dec 2018. We offer Fed Ex and UPS Ground/Freight service to ship our products to the 50 United States, Canada and Mexico. These shipments are trackable and include basic insurance coverage provided by the carriers. We do NOT require signature. We deliver to home and business addresses. We do not currently deliver to PO boxes or FPO/APO addresses. We do not currently deliver to US territories. B2B Customers should coordinate directly with inside sales for alternate shipping methods (contact: info@organizemydrawer.com). We ship from our manufacturing site in the Denver Metro area. 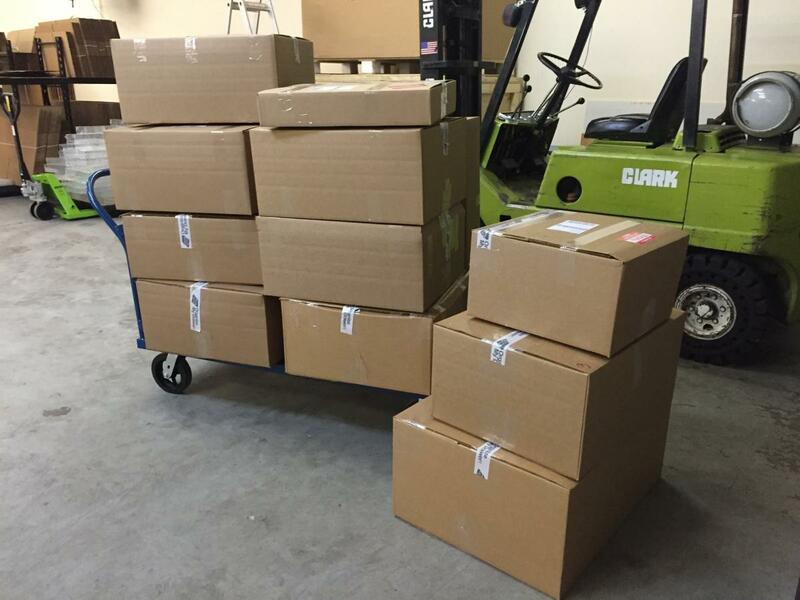 Typically, we build your organizer within 2-7 business days and then ship immediately after. 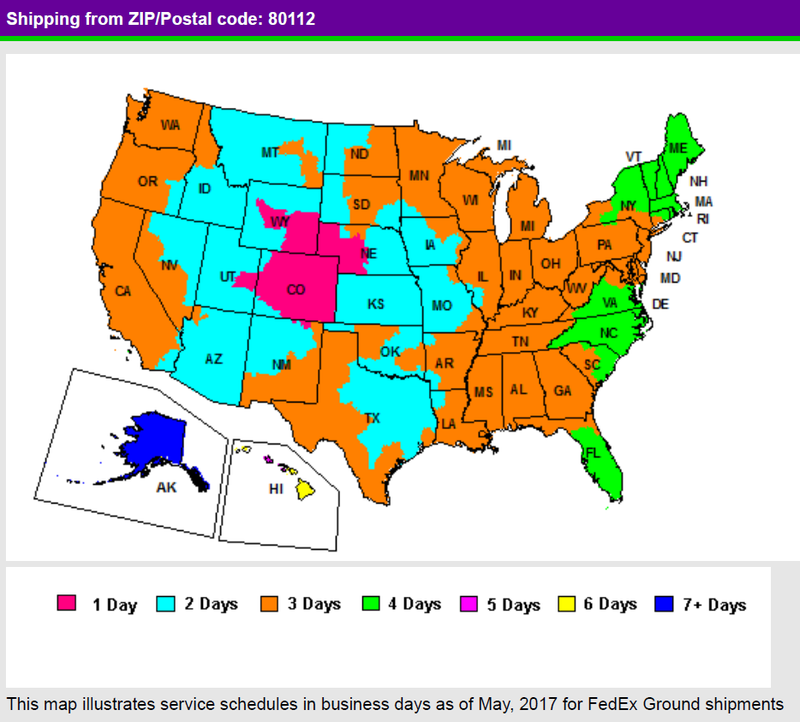 Shipping usually takes 2-4 business days from our location in Centennial, Colorado. You will receive an email from us with shipping information and tracking #'s when you order. If you do not, contact us with your order details and we'll get you a tracking number. You can also find the status of your order and a tracking number link on your MY ACCOUNT>ORDERS page. All orders over $500 REQUIRE SIGNATURE at delivery. Cost of shipping is determined by the order package requirements (size and weight) as well as the delivery location. Canada/Mexico customers must pay any addtl. duty and taxes. We use UPS broker services when shipping to Canada/Mexico. Contact info@organizemydrawer.com before ordering for more info about volume shipping methods and charges if you are a business or reseller. *Additional fees may apply due to delivery restrictions or obstructions, over-size freight charges, travel restrictions, narrow driveways, gated communities, etc. These charges will be handled separately from your ecommerce order by OrganizeMyDrawer sales representatives. We certainly don't want your organizer to break during shipping, so we wrap each organizer individually and place corrugated cushioning in between each item. We then place 2" EPS foam edge protectors and blocks in 200 lb. test corrugated boxes to cushion the voids as necessary. Bubble wrap is also used. However, occasionally items get damaged during transit. If that happens, submit your damage/lost claim here: DAMAGED/LOST ITEMS CLAIM with your order details and photos of the damaged organizer and packaging so that we can file a claim. You should also maintain all of the original packaging and the damaged item for 5-7 days in the event UPS requires a physical item inspection. We will send you an exact replacement at no cost if the damage was incurred during transit. We reserve the right to refuse replacing damaged/missing products that are not reported within 30 days of receipt.